It’s rich in antioxidants which help to keep you younger for longer and keep diseases at bay, it contains cocoa flavanols which have been proven to reduce LDL cholesterol; and most importantly in my opinion, it helps to increase serotonin in the brain. So there you have it, chocolate officially makes you happy. 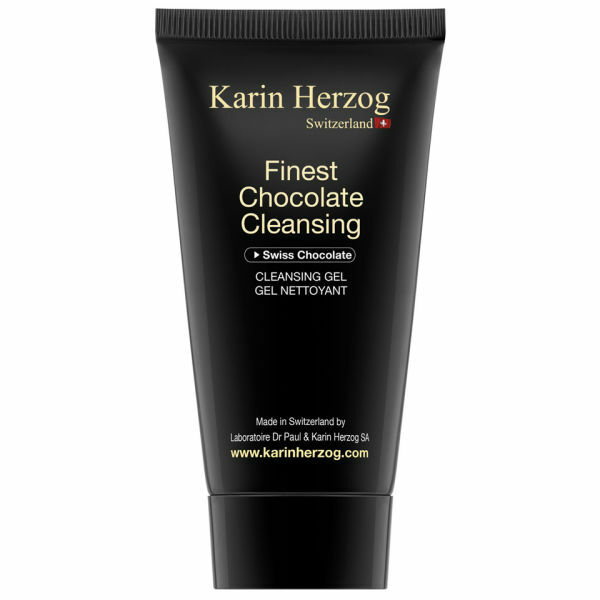 Chocolate has been getting more attention in the beauty world too. Beauty companies have jumped on the cocoa bandwagon incorporating its powerful antioxidants, vitamins, minerals and proteins into their skin, hair and even foot treatments. If you’re a brunette, here’s a fun DIY mask you can mix up at home to treat lacklustre locks. It will remove product buildup, hydrate parched hair, and if your hair is dyed, it will add life to your colour and boost shine. Just try not to eat it. Add half a cup of darkly brewed coffee to 100g of melted dark chocolate and one teaspoon of fresh lemon juice. Be sure to choose a high quality chocolate; the higher the percentage of cocoa solids the better. Mix thoroughly. Shampoo your hair and towel dry, then apply the chocolate mixture from root to tip. Cover with a shower cap and let it do its magic for 15 to 20 minutes.